A 6-month Syncretic Art project commissioned by HRDC — Human Resources Development Canada — for 16 youth deemed to be "at risk" in the City of Kawartha Lakes. DoorWays also empowered the youth to believe in themselves, discover hidden talents and engage more fully with their community. 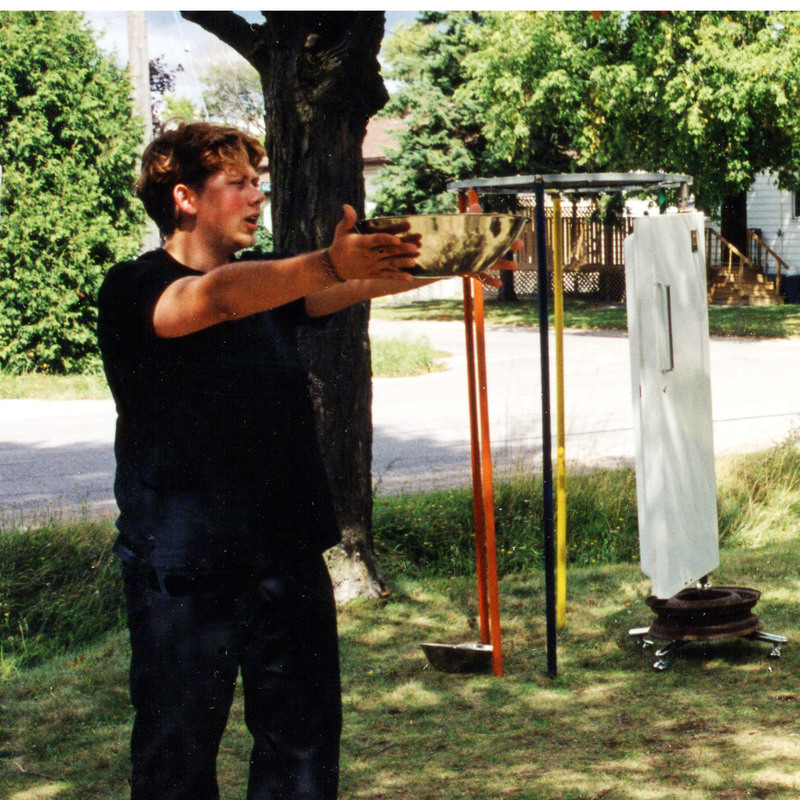 Through a series daily workshops in a wide range of artistic disciplines, the youth were empowered to give voice to their concerns and develop a series of multi-disciplinary performances — integrating sound, voice, movement and sculpture — which toured to over 25 different venues including seniors' homes, festivals, fairs, parades and art galleries across Central Ontario. 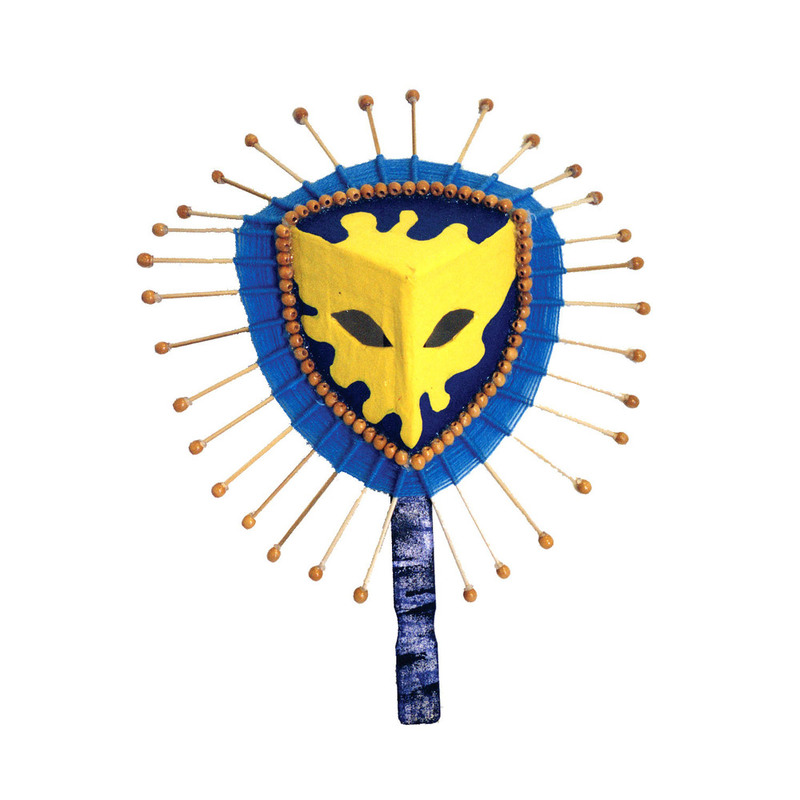 DoorWays even won a medal for "Best Musical Float/ Best Music" in the City of Kawartha Lakes — RiverFest parade. 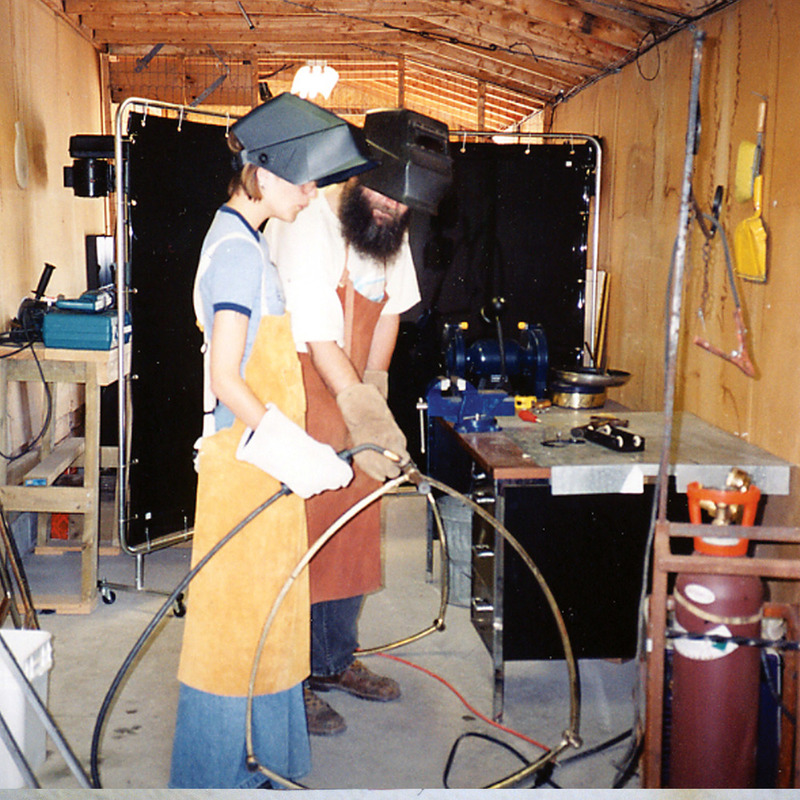 DoorWays 2001 fostered a symbiotic relationship between youth and seniors, presented a vehicle for self-discovery and encouraged the development of work-related skills. 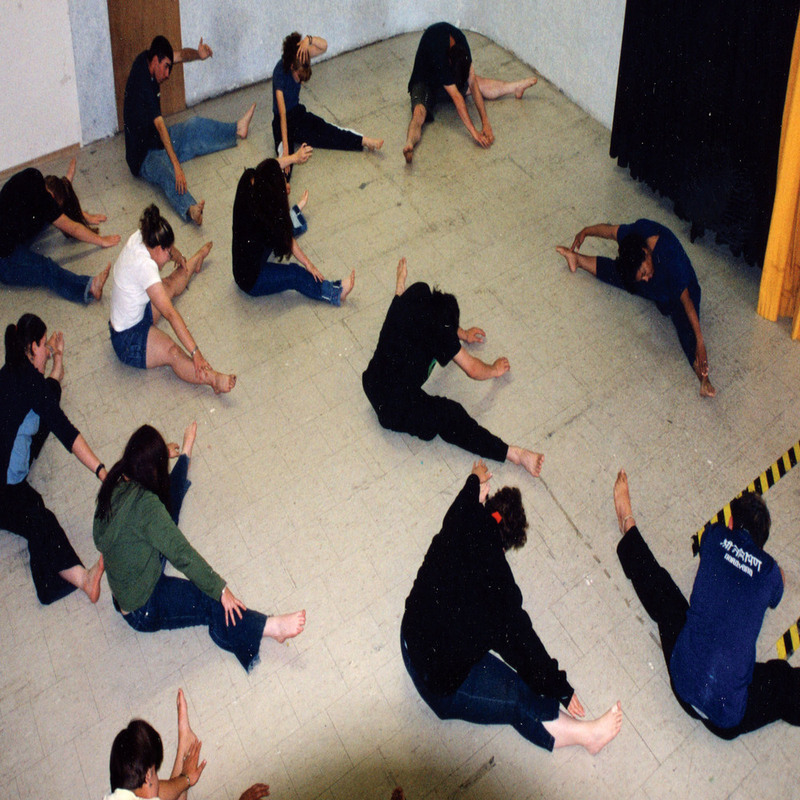 Participants developed increased self-esteem and self-confidence; and learned essential creative, collaborative problem-solving skills … through the successful completion of projects, resolving conflict, working as a team, leading a group, developing high quality, entertaining performances, and performing at the many venues. Performing for seniors proved to be one of the main highlights of the program. Youth were initially apprehensive about interacting with seniors, and, judging by comments heard from seniors in the community, the seniors were just as doubtful. 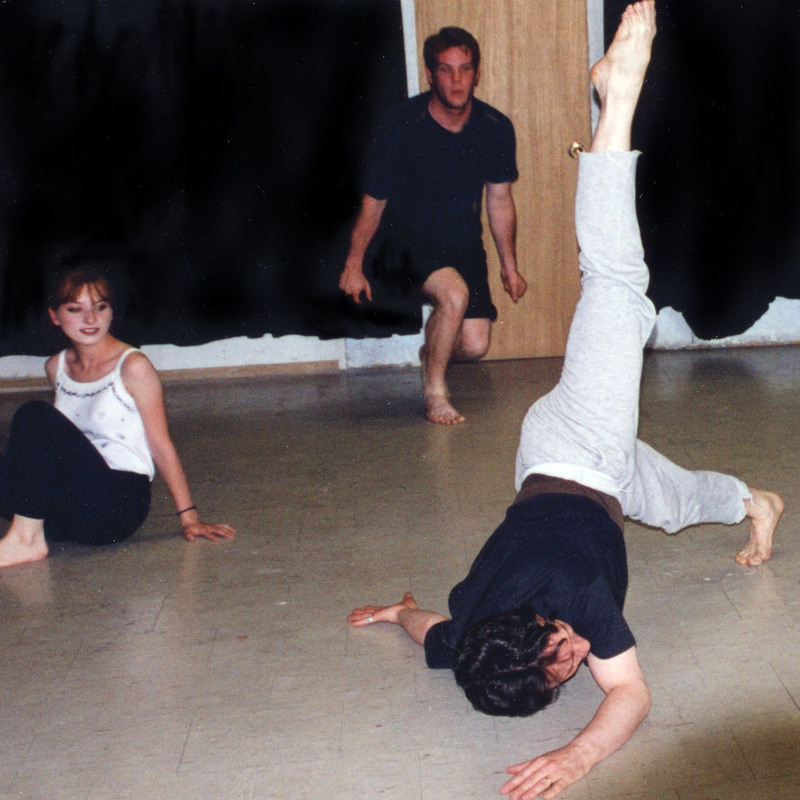 Neither group really knew what to expect beyond their initial preconceptions. Depending on your perspective, walking sticks and wrinkles can be just as daunting as fluorescent hair, chains and army boots. Nevertheless, the DoorWays youth participants went to the seniors’ homes, over-came initial stage fright and performed for what turned out to be wonderfully forgiving, interested and gentle audiences. For the seniors, there was no text dialogue to worry about hearing and no storyline to try to follow. 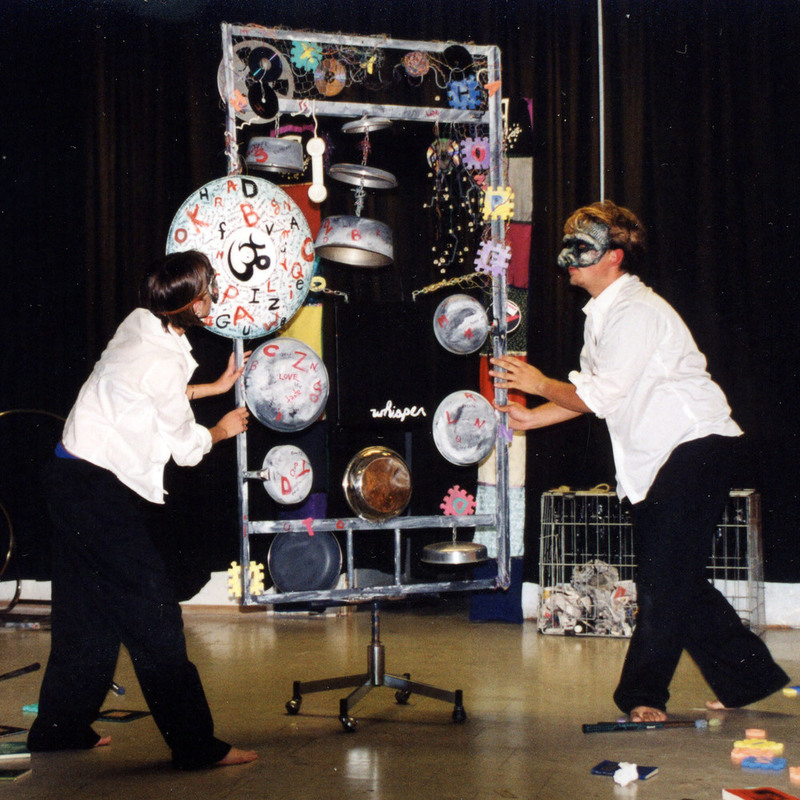 They were entertained with interpretive movement, song and visual art; and they loved it. The youth discovered that the seniors were open to everything. Following performances the youth enjoyed chatting with seniors, discussing their work and listening to seniors recount stories of their own lives. Seniors in residences crave outside stimulation and attention. They need to feel that someone still cares and that they're not just shut away and forgotten in a home. Similarly youth need positive reinforcement, they also need to feel that someone cares and is interested in what they have to say. Doorways addressed these needs and provided an opportunity to improve seniors' perceptions of youth while increasing youths' understanding of seniors in our community. Peterborough, Port Perry, Orillia and Lindsay. A total of 40 sponsors and community partners contributed to making DoorWays a success. Laidlaw Transport generously provided transportation throughout the programme. We would especially like to thank Ken Louie, of the Spectrum Centre, Ms. Emma Thomas, and the Academy Theatre for donating studio space to make DoorWays possible. 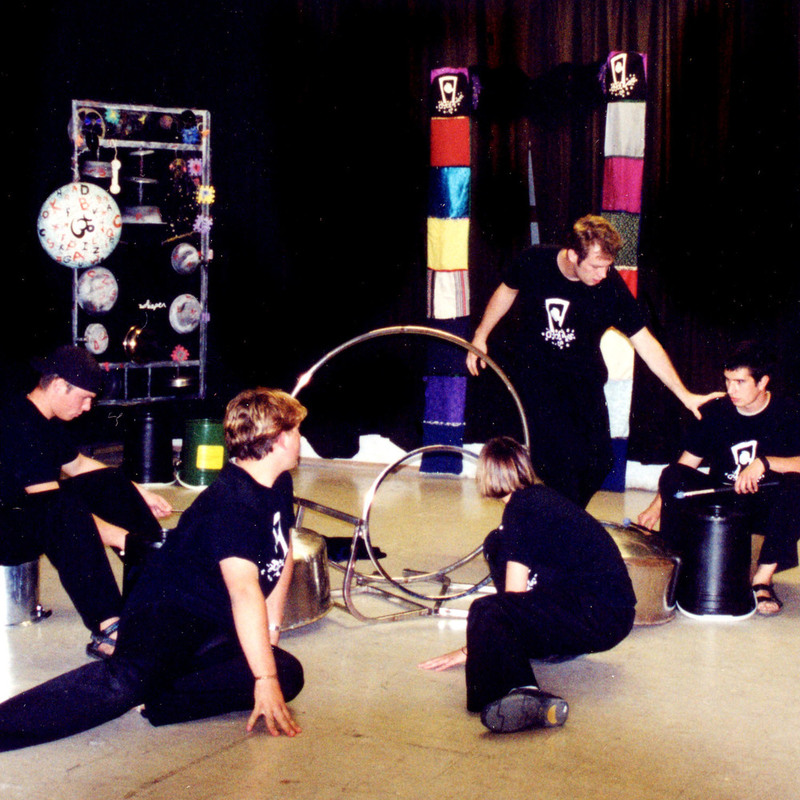 Leading Tone Arts Productions hosted an open house event for the public and sponsors on August 29th 2001. From noon 'til 7 p.m. fascinated audiences of all ages viewed the exhibition of sculptures and drawings and enjoyed a series of energetic solo, group and ensemble presentations by the youth.